Rupanjan had been a great host to Partho and me in the last four days. He not only gave us company but also saved us quite a bit of money. I got to know from him that Munich is very expensive. One can get a good idea of the standard of living from the cost of availing public transport. Even though his education was free, he had to shell out quite a bit for his accommodation. He also mentioned that it was very difficult to get accommodation in student quarters. One must wait for an year of more before a quarter is allotted to them. Last night I sat down and booked a bus ticket to Prague and the first budget hostel that popped up on Hostel World. I reached the bus stop at 10:30, bid Partho adieu and boarded my bus. Partho was headed back to Stuttgart. He would join me again in a few days. It took about five hours to reach Prague from Munich. As the bus moved north, the terrain visibly changed from green and flat countrysides of Bavaria to frosty meadows and foggy terrains of Czechia. The hostel was about twenty minutes walk from the Main Railway station. Before I could do anything, I needed to exchange some Euros into Czech Korunas. The exchange shops near the railway station charged a very high commission. I exchanged whatever bare minimum was necessary to last me until the next day. I will go to a different shop for my next exchange. 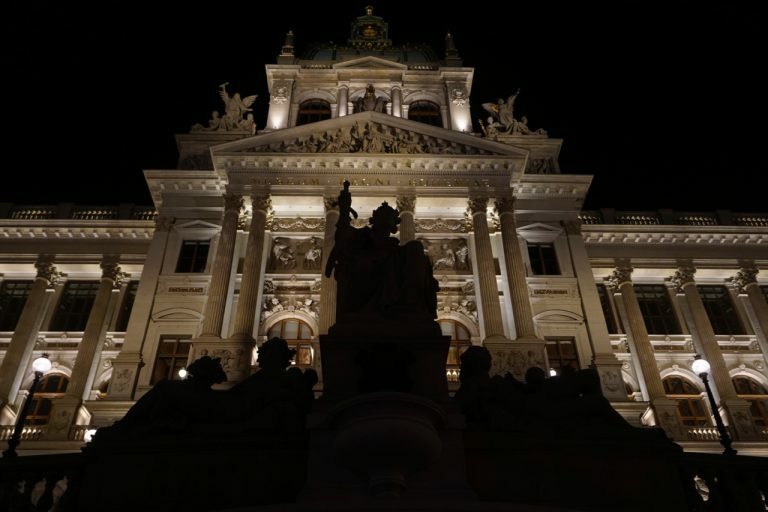 Národní Museum (National Museum) at night. 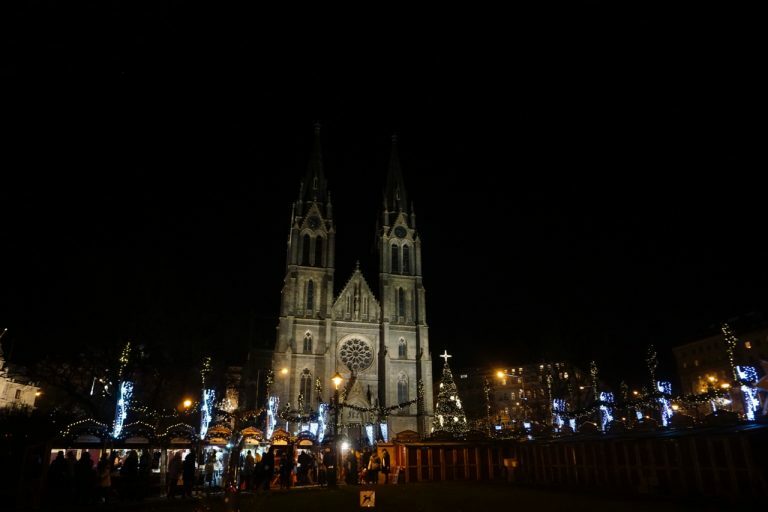 The park outside Church of Saint Ludmila hosted a big christmas market. 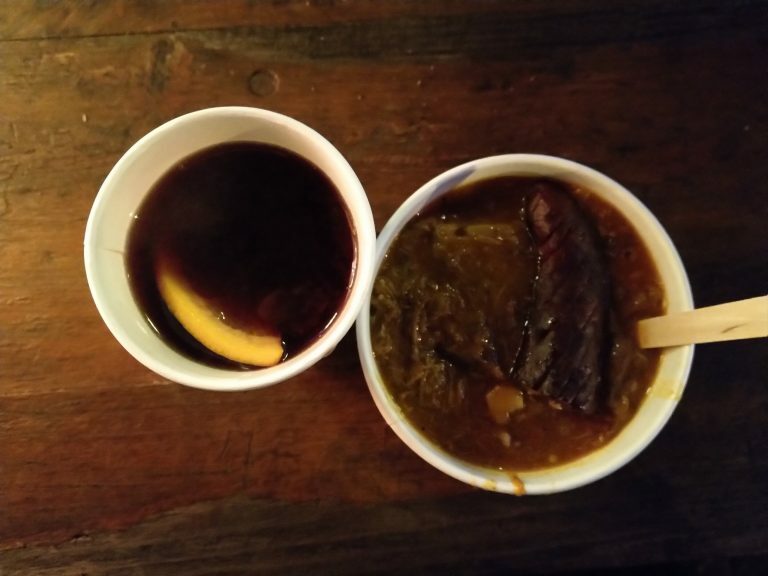 I had a very wintery dinner at the christmas maket— Glühwein and Goulash. I had not yet planned for anything in Prague. I was quite tired. I felt that the best was to go to sleep, wake up the next day and plan out the visits.